Every month we begin a new "100Miles1Month" Challenge Series, giving you a regular opportunity to reward yourself for hitting your mileage goal. (And this hefty medal, at 3.5 x 2 inches, is a very tangible reward.) You can begin the challenge at any point in the month—but the later you begin, the more challenging the challenge will be! 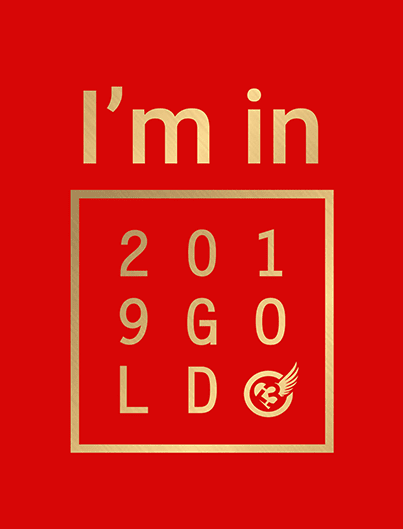 Earn *Move Points™ (aka $$) for each mile you run or walk when you participate in the 2019 Gold Challenge. 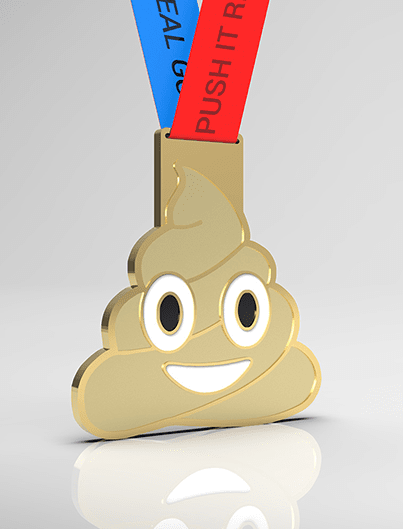 The Medal size is 3.5" x 2"
Sign up to run/walk/crawl 100 miles in one month! 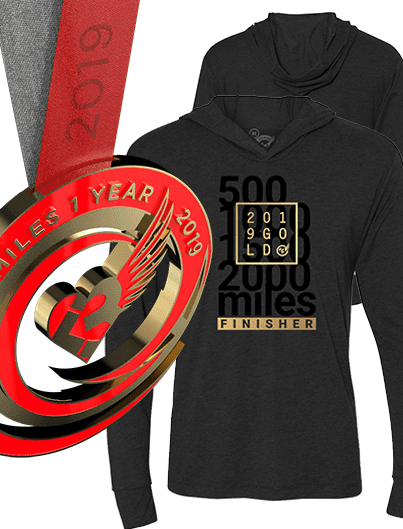 The finisher's medal will be shipped out to you by the 25th of month following your challenge. Example: if you participate in September's challenge, your finisher's medal will by shipped out on or about October 25th. Always consult your health care provider before beginning any exercise program.